Allan Ahlberg shares his Top Ten Favourite Children’s Books! 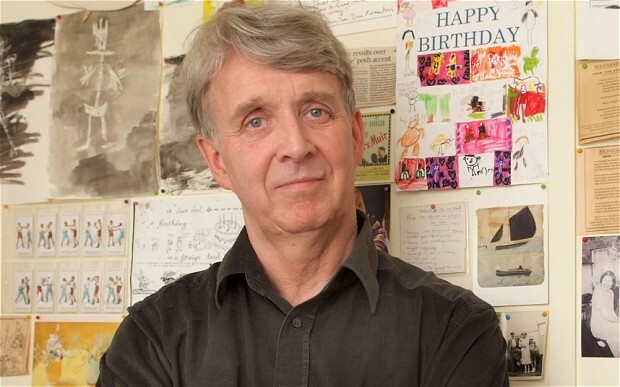 Allan Ahlberg is the author of more than 150 published books. He and his late wife, Janet Ahlberg, are the author/illustrator duo behind some of our favourite children’s books, including the award-winning Each Peach Pear Plum, Peepo and The Jolly Postman, which has sold more than six million copies (I remember this book coming out when I was little — I used to read it to my little brothers and they loved it!). 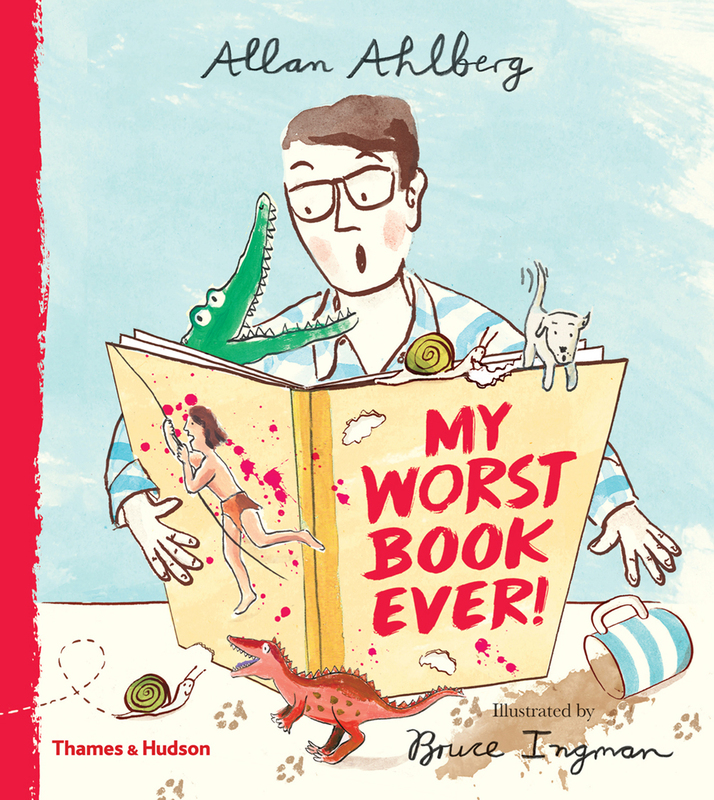 Allan has recently once again partnered with illustrator, Bruce Ingman, after the success of their books, The Runaway Dinner and The Pencil, to release a new book, My Worst Book Ever! (see above), which is a silly story about the making of a book and all the things that can go wrong. We were all so excited when Allan agreed to share ten of his favourite children’s books with us. I loved reading his note below about how difficult it is to narrow down a list of ten, and how he had to do it quickly and without too much thought. I feel the same! I’d have to do it the same way if I were going to narrow my own list down to ten. The only way I can do this, with not too much deep thought, is to rush at it! Otherwise my top 10 could easily become a top 110. Also, I should add that this is my choice NOW – 6:47 am Thursday, 22 February 2018. 7am or Friday or September or 2038, and I could be making an entirely different list. The Elephant and the Bad Baby by Elfrida Vipont and Raymond Briggs — great words from Elfrida and perfect pictures from Raymond. Mouse Tales by Arnold Lobel — words and pictures by the same person. As a words man – a paid up member of the Society of authors I ought to protest this, but it is a truly delightful book. Stig of the Dump by Clive King. I last looked into this book 40 years ago, reading it and loving it with my class of 10 year olds. It had, as I remember, the added bonus of Edward Ardizzone’s black and white illustrations. A Rupert Annual by Alfred Bestall. There are many to choose from – magical and mysterious stories told page by more or less identical page: four panels of pictures each with its own little verse plus running titles at the top and 10 lines of prose at the bottom. Where’s Spot? by Eric Hill — Simple and charming! The first of the lift-the-flap books, and for my money, the best. How Tom Beat Captain Najork and his Hired Sportsmen by Russell Hoban and Quentin Blake. I love this book. Wish I’d written it, and then been lucky enough to get Quentin Blake to do the pictures. The Bee Man of Orn by Frank R Stockton and Maurice Sendak. Oh dear. And I probably wish I’d written this one as well. Pete’s a Pizza by William Steig. He wrote and illustrated this book when he was 90, I believe, which is a fact I find hugely encouraging. Also it does have one of the world’s best covers ever. The Bear Nobody Wanted by G.E.Breary. Finally, having given you my adult choices, here’s a book that would have been near the top of my list when I was a child. It was a Sunday School prize and I must have read it a hundred times or more. Its emotional punch for me in those days was tremendous. I was of course, though well-loved in my family, the unwanted bear. Martha’s away is one of our faves. One of my favorite books is Janet’s last book. This man is a genius ! Thanks so much for your best interview EVER!!!!!!! Looking forward to showing this to my daughter when she is home from school. She is a huge Allan Ahlberg fan. Her favourite book is one of his lesser known titles The Bravest Ever Bear. It was her costume for World Book Day.